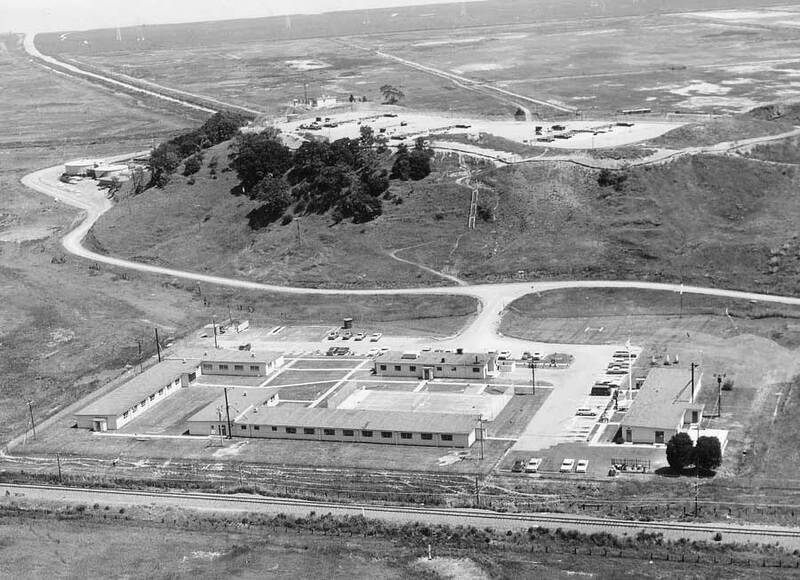 In 1956, The Army acquired the land for and built a Nike-Ajax air defense missile battery on the outskirts of San Rafael in Marin County. During its initial years of operation, the Site was garrisoned by the Battery C, 9th Antiaircraft Artillery Missile Battalion. In May of 1958, the battery began upgrading to the larger, nuclear capable, Nike-Hercules surface-to-air missile. New structures and operations were installed to aid the new Nike-Hercules air defense system. During the reorganization period, the Army implemented the Combat Arms Regimental System, in which the garrison was re-designated as Battery C, 2nd Missile Battalion, and 51st Artillery in September of 1958. In February 1959, the battery completed its transition to the Nike-Hercules systems and continued to be an active air defense site throughout the 1960s. Over the years, the threat from manned Soviet bombers became more unlikely and the need for the Nike systems lessened. Due to the dynamic strategic situation in June of 1971, the Army deactivated the Site and inactivated the garrisoning unit. The U.S. Armys Cold War antiaircraft/air defense artillery sites were identified by an identification system that included the initial(s) of the defense area and a site number (i.e. SF-93 meaning San Francisco Defense Area Site 93). A suffix was added to this basic identifier categorizing the function of the site or portions of the site. These would have included suffixes for gun and missile batteries , administrative and family housing areas, and command and control facilities. Former San Francisco Nike Battery 93 was comprised of three distinct functional areas: the Launcher Area and Assembly Area (SF-93L), the Administrative Area (SF-93A), and the Control Area (SF-93C). Former SF-93L is situated a top an elongated hill with a few buildings at the base of the east side of the hill . Located adjacent to the Administrative Area, the Launch Area consisted of the missile launchers and magazines (underground storage bunkers); missile and warhead assembly; and maintenance and fueling facilities. The Nike-Ajax missiles used high-explosive warheads; with the later Nike-Hercules missiles being armed with either high-explosive or nuclear warheads. As such, this was the most secure area of the Site and also included a Ready Room for missile crews when the battery was in a hot or ready status, security checkpoints and a kennel for military working dogs. Former SF-93A was located at the base of the west side of the hill and contained the Sites administrative and support functions. Normally, this would have included troop housing and messing, recreational facilities, battery administration and supply buildings, and vehicle maintenance facilities. Former SF-93C was located atop a peak on the southwest border of China Camp State Park. The Control Area (also known as the Integrated Fire Control or IFC area) was the location of the batterys radar and fire control systems. The IFC area was distanced from the Launch Area and located atop a hill or mountain. This would allow for 360º line of sight radar coverage by the batterys missile, target tracking and search radar systems. The reason for locating the site away from the Launch Area was that the missile tracking radar could lock-on to the missiles while they sat on the Launch Pad and would follow them from launch to the impact with the target. The high speed of the Nike family-of-missiles would have destroyed the mechanisms of the missile tracking radar if they were located close to the launchers.around the vicinity of the former Standby Electrical Power (S-410). The Nike Ajax was the world's first operational surface-to-air guided missile system. Its origins lay in the immediate post-war time, when the U.S. Army realized that guided missiles were the only way to provide air-defense against future fast high-flying bombers. Western Electric became the prime contractor for the XSAM-G-7 Nike missile system and Douglas as the primary subcontractor was responsible for the missile airframe. The first unguided Nike missiles were fired in 1946, but problems with the original multi-rocket booster (eight solid-fuel rockets wrapped around the missile tail) soon led to delays in the program. In 1948, it was decided to replace this booster pack with a single rocket booster, attached to the back of the missile. The main propulsion of the missile was a Bell liquid-fueled rocket motor, and the flight path was controlled by the four small fins around the nose. In November 1951, the first successful interception of a QB-17 target drone succeeded. The first production Nike (which had been redesignated SAM-A-7 in 1951) flew in 1952, and the first operational Nike site was activated in 1954. By this time, the missile had been designated by the Army as Guided Missile, Anti-Aircraft M1. The name had changed to Nike I, to distinguish it from the Nike-B (later MIM-14 Nike Hercules) and Nike II (later LIM-49 Nike Zeus). On 15 November 1956, the name was finally changed to Nike Ajax. The Nike Ajax missile used a command guidance system. An acquisition radar called LOPAR (Low-Power Acquisition Radar) picked up potential targets at long range, and the information on hostile targets was then transferred to the Target Tracking Radar (TTR). An adjacent Missile Tracking Radar (MTR) tracked the flight path of the Nike Ajax missile. Using tracking data of the TTR and MTR, a computer calculated the interception trajectory, and sent appropriate course correction commands to the missile. The three high-explosive fragmentation warheads of the missile (in nose, center, and aft section) were detonated by ground command, when the paths of target and missile met. One of the major disadvantages of the Nike Ajax system was that the guidance system could handle only one target at a time. Additionally, there was originally no data link between different Nike Ajax sites, which could lead to several sites engaging the same target. The latter problem was eventually solved by the introduction of the Martin AN/FSG-1 Missile Master command-and-control system, with automatic data communication and processing. Other problematic features of the Nike Ajax system were the liquid-fuel rocket motor with its highly toxic propellants, and the large size of a complete site with all components, which made Nike Ajax to all intents and purposes a fixed-site air defense system. By 1958, nearly 200 Nike Ajax sites had been activated in the United States. However, the far more advanced MIM-14 Nike Hercules soon replaced the Nike Ajax, and by late 1963, the last Nike Ajax on U.S. soil had been retired. In 1963, the Nike Ajax had received the new designation MIM-3A. Despite the use of an MIM (Mobile Intercept Missile) designator, the mobility of the Nike Ajax system was more theoretical than actually feasible in a combat situation. The MIM-3A continued to serve with U.S. overseas and friendly forces for many more years. In total, more than 16,000 missiles were built. The Nike Hercules was the only nuclear-armed surface-to-air weapon, which was operational with the U.S. Army. Development of an improved Nike missile began in 1952, with the primary goal to develop a missile with a significantly higher performance than MIM-3 Nike Ajax (then known simply as Nike), which could still be used with the existing Nike ground equipment. After it had been shown that the Nike Ajax could not be equipped with then existing nuclear warheads, nuclear armament became another goal for the new missile. The SAM-A-25 Nike B program was formally established in June 1953. As with Nike Ajax, Western Electric was prime contractor, and Douglas was responsible for the missile airframe. The Nike B (renamed Nike Hercules on 15 December 1956) used many components of the Nike I (Nike Ajax). The booster consisted of four Nike Ajax boosters, and the original design used 4 of Ajax' liqued-fuel rockets as sustainer propulsion. However, the first flight tests with the liquid-fuel sustainer in 1955 proved very troublesome, and a solid-fueled sustainer rocket was eventually used. The first successful interception of a drone target occurred in 1956, and in 1957 the new solid-fuel sustainer flew for the first time. Nike Hercules used the same command guidance as the MIM-3 Nike Ajax, with essentially the same ground components. The first production Nike Hercules missiles were delivered in 1958, and quickly replaced the Ajax on many Nike sites. By then, the Nike Hercules had been designated as Guided Missile, Air Defense M6. The M6 could be equipped with either an M17 (a.k.a. T45) blast-fragmentation warhead, or a W-31 nuclear fission warhead with yield selectable as 2 kT or 40 kT. The missile performance was such that even very high-flying bombers could not escpe the Nike Hercules. Capability against low-level targets remained rather limited, however. As the Nike Hercules began replacing the older Nike Ajax, work was underway to improve the acquisition and tracking radar capabilities to fully exploit the missile's greater performance. The major improvement in what was called the Improved Hercules system was the new L-band acquisition radar, called HIPAR (High-Power Acquisition Radar). The TTR (Target Tracking Radar) and TRR (Target Ranging Radar) were also improved, having better ECM resistance. The missiles of the improved Improved Hercules system were designated as M6A1. In June 1960, an Improved Hercules achieved the world's first successful interception of a ballistic guided missile, when a MGM-5 Corporal SRBM was shot down. The new radars were also far more compact than the original ones, which made moving a Nike site a least somewhat practical for the first time. Lastly, Improved Hercules introduced a viable surface-to-surface capability to the Nike system. The first Improved Hercules systems were installed at Nike sites in June 1961. In 1963, the M6 and M6A1 missiles were redesignated as MIM-14A and MIM-14B, respectively. The MIM-14C (introduced in 1972) was a modified MIM-14B with an improved missile guidance section for higher manoeuverability and better ECM resistance. All in all, the U.S. Army established 145 Nike Hercules sites over the years. Production of the nuclear-armed missiles ended in 1964, and gradual phase-out of the MIM-14 began in the late 1960's. The Army originally planned to replace the Nike with the new MIM-104 Patriot missile, but this plan was not implemented in the USA. Therefore, after the last active Nike Hercules sites in the continental U.S. had been deactivated in 1974, there are no long-range air-defense missiles fielded in the U.S.. In Europe, the U.S. Army retired its last MIM-14 units in 1984, when the MIM-104 Patriot was introduced. In total, more than 25000 Nike Hercules missiles of all wersions were produced, most being of the MIM-14B variant.